September 24 to 26 the 'Deltas in Times of Climate Change' conference takes place for the second time in Rotterdam, the Netherlands. 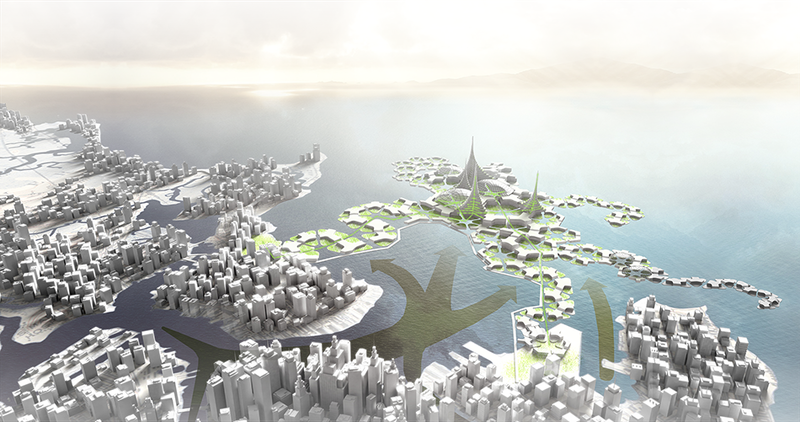 On the 25th DeltaSync is organizing the workshop 'Creating floating cities', where speakers and participants from all over the world will debate about the future of floating urbanization. Creating floating cities. A dream? Or a new perspective? Floating cities have fascinated people for decades. This dynamic and interactive workshop brings together global frontrunners from science, government, companies and NGOs who are interested in the concept of floating cities. 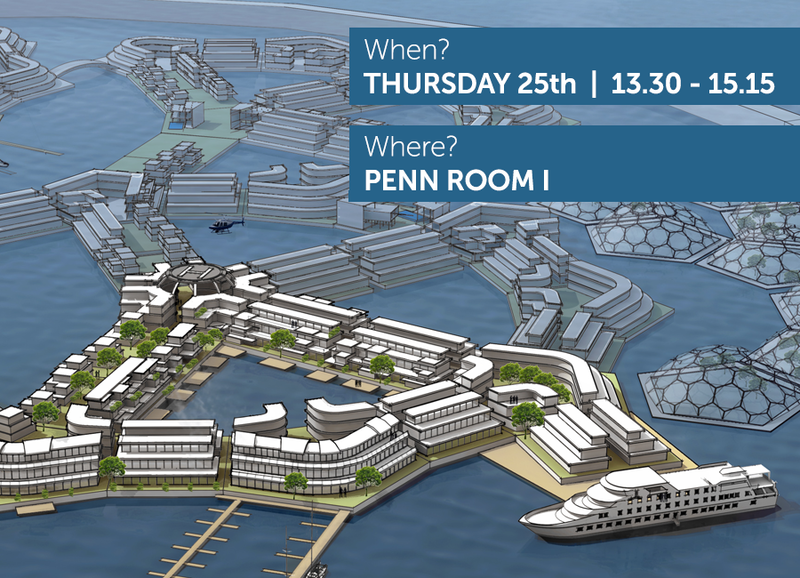 The session showcases visions for the future of our planet such as the BlueRevolution and Seasteading, but also concrete innovative projects such as a floating solar powered school in Makoko (Lagos, Nigeria) and the floating development in Rijnhaven (Rotterdam, the Netherlands). In Rotterdam the government and companies are implementing new forms of public-private-partnership to create a floating neighborhood. 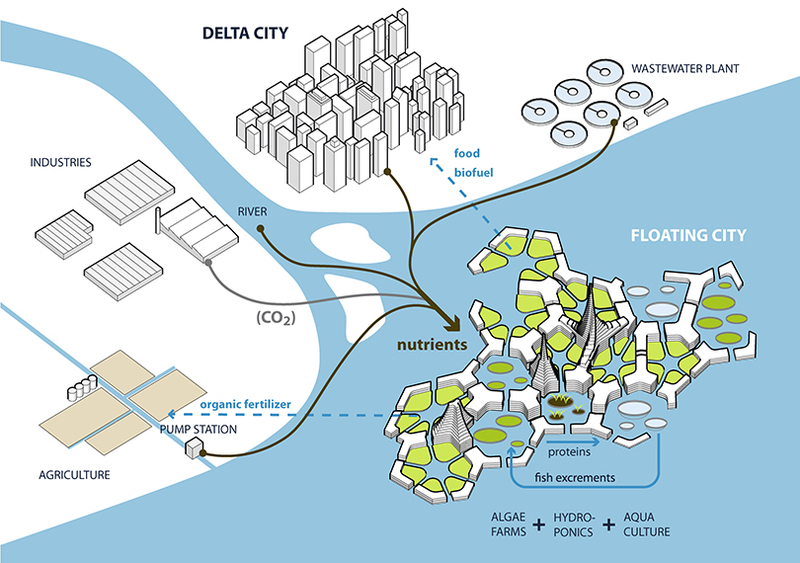 What can floating urbanization offer to rapidly growing delta cities such as Manila and Lagos? 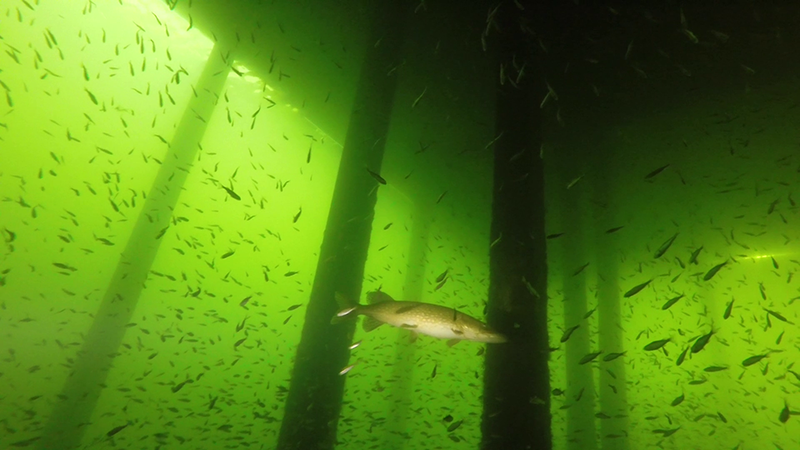 What are the effects on water quality and ecology and how can innovative measurement techniques such as underwater drones contribute in measuring these impacts? Join the workshop to find it out. During the workshop five presentations will be given on multiple subjects. The goal of the workshop is to reflect on these presentations, to exchange knowledge on floating development and to integrate knowledge by looking at floating cities from different perspectives. Target groups are scientists, policy makers, engineers and designers who are motivated to contribute to a future perspective of coastal delta cities. Bart Roeffen is Creative Director and one of the founders of Deltasync. In 2013 he became member of the board of the Blue Revolution Foundation, an initiative that aims at joining together people and organizations that can make a difference in facing the challenges of the 21st century by developing innovative solutions for human development on the water. 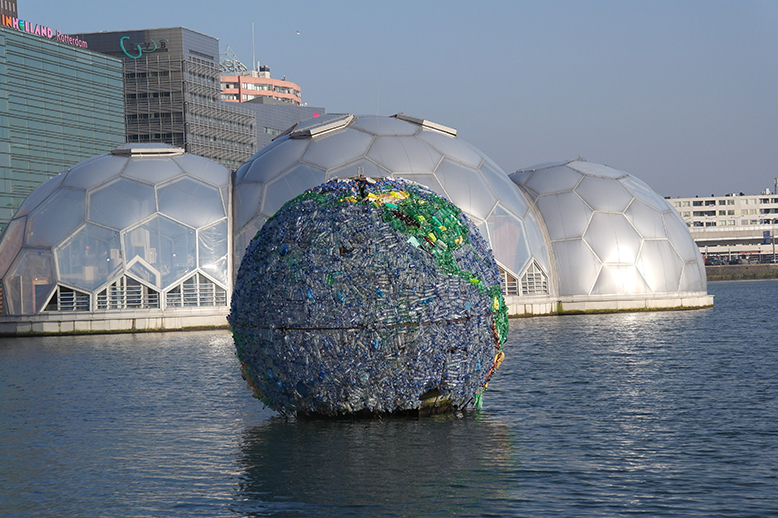 As principle architect he was in charge of the design and construction supervision of the Floating Pavilion in Rotterdam. This is considered to be one of the leading floating projects and a milestone in the technological development of floating urbanization. Advanced 3D technology was adopted in order to translate spatial concepts into reality and optimize complex shapes. Roeffen is driven to innovate construction industry in terms of production and sustainable development. 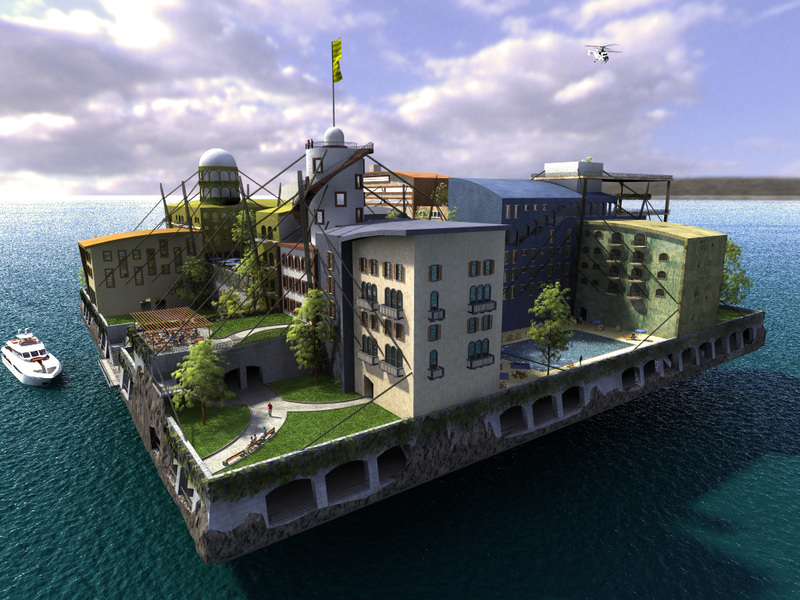 Lasse Birk Olesen is an ambassador of The Seasteading Institute, which plans to establish a floating city next to a coastal nation within the next few years. He holds a degree in engineering from Technical University of Denmark and National University of Singapore. 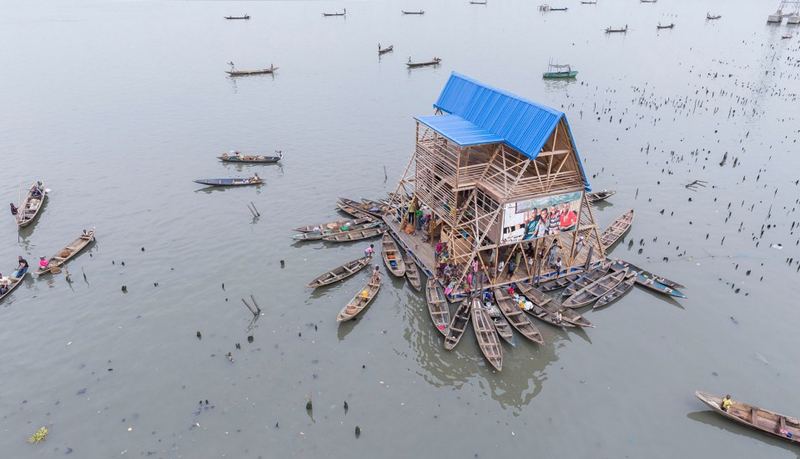 Born and raised in Nigeria, Adeyemi studied Architecture at the University of Lagos where he began his early practice, before joining the world renowned Office for Metropolitan Architecture (OMA) in 2002. At OMA, working closely with founder Rem Koolhaas for nearly a decade, he led the design, development and execution of numerous projects in Europe, Asia, Africa and the Middle East. Among these projects were the award winning Samsung Museum of Art, the Seoul National University Museum, NM Rothschild Bank in London, Shenzhen Stock Exchange tower in China, Prada Transformer in South Korea, Qatar National Library, Qatar Foundation Headquarters and the 4th Mainland Bridge and master plan in Lagos. Adeyemi was responsible for critical stages in design and realization of these projects. This involved leading OMA's design team, coordinating a diverse global network of stakeholders and experts collaborators, including Arup for Engineering and Davis Langdon (AECOM) on cost matters. Floris Boogaard graduated in 1998 at Delft University of Technology on water management with an additional graduation on working in third world countries. After graduating as Civil Engineer he joined the consulting agency Tauw BV to do work on urban drainage and water management for municipalities, water authorities, project developers, spatial planners, universities and other consulting agencies. His research and advice fields include storm water drainage and infiltration, complex monitoring and optimizing sewer systems, design of drainage facilities, water supply and groundwater pollution, urban water quality management and urban water management planning. He aims at making sustainable cities in terms of water management. He is finishing his PhD research on the quality of storm water and optimizing SUDS in order to integrate the worlds of spatial planning and water management and encouraging the implementation of innovative technical and sustainable solutions. On 1 april 2013 Floris accepted a professorship Spatial Transformations at the school of Architecture, Built Environment & Civil Engineering, NoorderRuimte Centre of Applied Research and Innovation on Area Development at Hanze University of Applied Sciences in Groningen. Leander Ernst is lecturer and researcher at the Rotterdam University of Applied Science. Recently he has studied the process regarding the development of former port Rijnhaven in Rotterdam, which includes the water basin. The water basin in Rijnhaven was originally intended to be an arena for temporary (floating) events. Then the realization of the Floating Pavilion led to a change of plans, making room for the development of approximately 80 floating houses. Due to the crisis, resulting in a decrease in spatial development and less income for the municipality, the plans have changed dramatically. The current tender aspires a sustainable transformation of an area of 21 hectare. However, in the tender there is no longer any mention of a floating area development. This leads to the following question: are floating developments just a step towards sustainable area development, or are they a goal in themselves? Copyright © 2014 DeltaSync, All rights reserved.